Megastar Mammootty has presented his gift of Vishu. 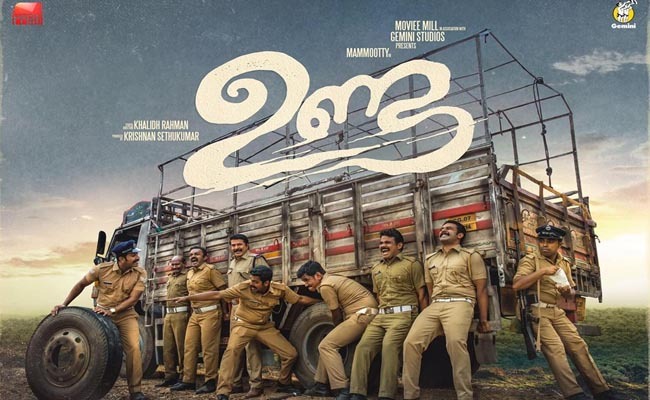 By releasing the first look poster of his upcoming movie Unda, Megastar has given the much needed update on this Khalid Rahman directorial. However, contrary to the expectations, the star has also presented the first looks of the major characters from the movie. The second movie from Khalid Rahman, Unda has already completed the production phase, and this uniformed appearance of Megastar has brought much cheer to the movie buffs of the state. Touted to be based on some real life incidents, Unda is set against the backdrop of combat of Kerala police with Maoists in Chhattisgarh. Set as an action movie, with comic elements, Unda presents Megastar in the role of Sub Inspector Mani Kandan. Krishna Sethukumar produces the movie under the banners of ‘Movies Mill’ and ‘Gemini Studios’.